Lviv mayor joins the race alongside Kyiv, Odesa, Dnipropetrovsk and Kherson. "We are always prepared to arrange events at the highest level, we have proved this when we hosted the European Football Championships... We did a great job during the World Chess Championship. We have a quality infrastructure, a sufficient number of hotels and catering establishments... The Ukrainian government should take a firm stand here. 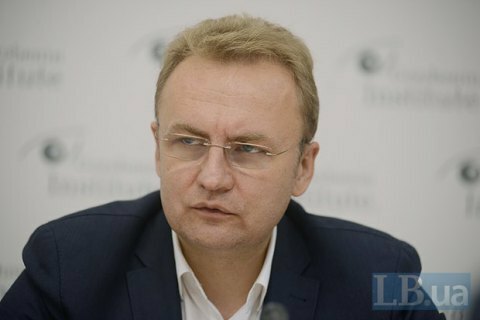 Lviv is ready, and if we want to show an open European Ukraine to Europe - we can use Lviv up to the hilt," Lviv mayor Andriy Sadovyy said during a TV appearance on 15 May. Speaking of the venue for the song contest, Sadovyy mentioned a football stadium and an unfinished sports centre. "We have finished the stadium. If we talk about a roofed hall, we have started building a complex for the European basketball championships, but suspended its construction. In principle, we have examined the issue with the specialists [and I believe] we can complete it in time. It can become a gem of the city and can host the Eurovision song contest," the mayor told 112 Ukrayina TV. Ukrainian singer Jamala on Saturday night won the 2016 Eurovision song contest in Stockholm. Next year, Ukraine is expected to host the show. Kyiv mayor Vitaliy Klitschko stated that the Eurovision would be held in the capital, possibly at the National Olympic Sports Centre. Odesa mayor Hennadiy Trukhanov, for his part, suggested his city could host the 2017 Eurovision, which is a "multi-ethnic, beautiful, European city with rich history and cultural traditions." Dnipropetrovsk mayor Borys Filatov found several reasons to hold the Eurovision in his city. Holding the Eurovision in Kherson would give a huge incentive in terms of development and investment, its mayor Volodymyr Mykolayenko said.